TOURS:Lake Guatape tour-comuna 13 grafitti tour-football tour-santa fe de antioquia tour(hot)-city tour-fruit tour-etc¡¡¡!!!
. we are offering a nice and relaxed atmosphere,clean bathrooms and extra large beds,kitchen times from 7.00--23.30¡ sunday night BBQ sharp at 5.30 pm with chicken steaks sausages and pork as well as a wide range of home made salads. The owner came 1996 to colombia and has a lot of information about travelling in this beautiful country. Check in from 14:00 to 24.00 . Located at the second floor!!! 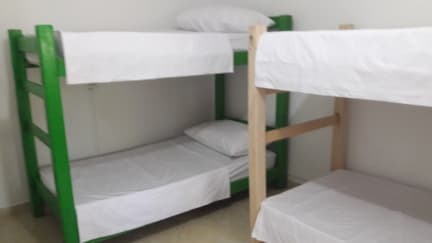 Wonderful hostel in Medellin, just a short walk from the subway station. Good facilities and helpful staff. They organize several tours and it’s super easy to meet other people if you are traveling solo. 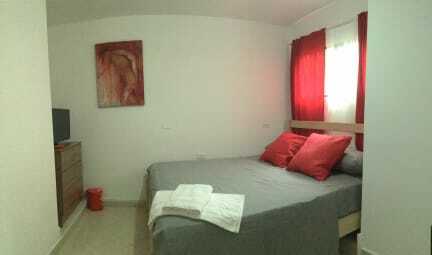 One of the best hostels I've stayed at in Latin America. The German owner is very friendly and he can give you good travel tips. The facilities were constantly kept clean, there's a nice terrace where you can meet other travellers and there's an abundant self-service breakfast. The rooms are rather small but that's not really an issue because you'll probably stay on the terrace most of the time. If you stay on Sunday make sure that you don't miss the barbecue!